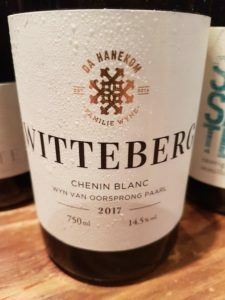 Andri Hanekom, the new winemaker at Bloemendal, also has very smart Chenin Blanc called Witteberg under his own DA Hanekom Familie Wyne label. Grapes come from two vineyards near Klapmuts, one some 35 years old and the other 18 years old, winemaking involving 10 months of maturation in old barrels. On the nose white peach, cut apple, vanilla essence and some leesy complexity – quite particular. The palate is rich and broad but not at all listless – lovely fruit expression upfront before a long and intensely savoury finish. Alcohol is 14.5% – it’s a big but well-proportioned wine. 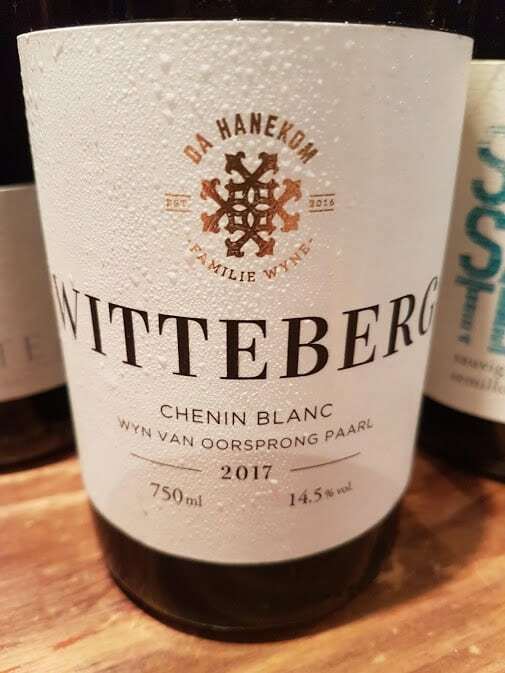 Available from Wine Village in Hermanus for R187 a bottle.